One year after his official retirement from opera, legendary Canadian baritone Louis Quilico is still performing. Though the portly ex-Montrealer turned 73 this year, he seems to have found the fountain of youth, embarking on a second career as a recitalist and recording artist. In early April, Quilico was in New York for a recital and a recording of Frank Loesser's musical Most Happy Fella, to be released early next year. A couple of days later Quilico was the featured soloist at a sold-out benefit concert of Théodore Dubois' Les sept paroles du Christ, singing with L'Ensemble Vocal Excelsior in Saint-Sauveur, Quebec. Though Quilico's voice has lost some flexibility since his heyday in the 1970s, his dramatic baritone remains full and virile. Quilico's vocal longevity is all the more impressive considering that he is self-taught. Quilico admits to only 40 voice lessons in his life. Back in 1953 he was coached at the Montreal Conservatory and New York's Mannis School of Music by French baritone Martial Singher. Singher's lessons and Quilico's natural abilities carried him to victory in the 1955 Metropolitan Opera auditions, but singing a complete opera was another matter. Quilico took stock of his technical weaknesses before his first San Francisco Opera appearance in 1956. He spent six months in front of a mirror developing the solid technique that serves him well to this day. 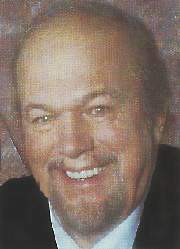 Quilico has been teaching his singing method since 1969 to such students as Paul Frey, Mark Pedrotti and Gary Relyea. In a recent interview with La Scena Musicale, Quilico expressed concern about the state of vocal training in Canada. He finds that Canadian programs push students into singing roles before they have had time to develop a solid technique and master their instrument. At Philadelphia's Academy of Vocal Arts, where Quilico currently teaches, students work at their own pace with a flexible schedule and are not prematurely forced into stage roles. In his recent pedagogical video on voice training, "Louis Quilico, The Voice Lesson" (York Fine Arts, YFA00897), Quilico outlines what he calls his Nine Laws of Vocal Production, which stress proper alignment and natural singing. Quilico emphasizes that singing is more a mental than a physical exercise. He believes in mentally preparing the instrument and that singing repetitive scales is not always necessary. Like many singing teachers, Quilico uses a metaphorical and metaphysical vocabulary which can be confusing to a beginner, but his ideas on breathing and onset have proved valuable to many students. Quilico's recital career picked up after his marriage to pianist Christina Petrowska five years ago, and their CD of French and Russian songs has just been released on the Welsprung label. The recording includes French mélodies that demonstrate ideas learned from Martial Singher four decades ago. "Singher always wanted mélodies to be voiced. He disapproved of switching to falsetto", Quilico recalls. Although Quilico was nicknamed Mr. Rigoletto in honour of his 510 performances of Verdi's Rigoletto, he never made a studio recording of the opera. Quilico is glad to know that there are at least 17 pirate recordings of his live Rigolettos, including one with José Carreras as the Duke in his New York debut at City Opera. Quilico's recitals will continue, but he won't be singing Rigoletto again soon, at least not until his knees get better. Quilico will shortly undergo surgery for knee trouble stemming from a collision with a food cart on an Air Canada flight in the mid-1980s. Well and active, Quilico is regarded by many as a minor legend in his own time. He recently agreed to donate his papers and memorabilia to the National Library of Canada. But the library's Quilico archive will not be getting his first Rigoletto costume, made for his 1960 New York City Opera debut. Next May one of Quilico's students will wear it in a new production of Rigoletto at Philadelphia's Academy of Vocal Arts and, for the first time, Mr. Rigoletto will direct. Louis Quilico and Christina Petrowska will give a recital on November 2 and a masterclass on November 3 at the University of Toronto (Tel. : 416-978-3744), a recital in Quebec City on November 14 and a concert with Boris Brott and orchestra at the Beth Tzedec Synagogue in Toronto on Nov. 15. Related literature : Christina Petrowska Mr. Rigoletto : In Conversation with Louis Quilico, Captus Press, 1996, Ruby Mercer The Quilicos. Mosaic Press, 1995, Jerome Hines Great Singers on Great Singing, Limelight Editions, 1982, pp. 258-265.